We are the fortunate heirs of a great and venerable spiritual tradition…Shamanism. This world-wide tradition is many thousands of years old, with core principles and practices that are universal or common for one simple reason: they work. What is shamanism, anyway? The word is often used but what is it talking about? Shamanism is the ancestor of all the world’s spiritual traditions and goes back at least 40,000 years. Your ancestors and mine once practiced shamanism to celebrate the seasons, heal wounds, find lost persons and objects, ensure the success of the hunt, and prevent tribal warfare. 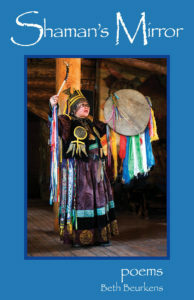 The word shaman comes from the Siberian language and means “one who sees in the dark.” A shaman is someone (female or male) who enters into an altered state of consciousness through the beat of drum or rattle, travels to other worlds to meet with spirit teachers and power animals, gathers answers and healing, and returns here to help alleviate the suffering of others. These “spirit flights” are ecstatic experiences for the shaman, and shamanism is often called the archaic techniques of ecstasy! A shaman uses the shamanic journey to go to the other worlds by entering into a shamanic state of consciousness. In this altered state she is able to “see with her strong eye” and go through the barriers into nonordinary reality where the helping spirits reside. The helping spirits are both in animal form — horse, bear, cougar, eagle, wolf, etc. — and human form — Buddha, Merlin, Bridget, Tara, Mary, White Buffalo Calf Woman, Plenty Coups, Crazy Horse, etc. Shamanism has existed on every inhabited continent and is now in a resurgence on the planet. Each shaman has her own helping spirits with whom she works in a powerful partnership to assist people who come asking for help. A shaman may, for example, journey into the upper world in search of a person’s missing soul or journey into the lower world to recover a person’s lost power. These two healing methods are known as soul retrieval and power animal recovery. They can help a person become whole again after accident or trauma and can cure illness and other misfortune. Generally the word shaman is reserved for someone who is practicing in an indigenous tribal culture. Contemporary shamanic healers like myself prefer to be called shamanic practitioners in acknowledgement of the years of study with the spirits that it takes to become a shaman. It is also up to the community to decide that someone is a shaman. When a practitioner is getting consistently good results in the healing work they do for other, they may begin to be referred to as a shaman. How does someone become a shaman or shamanic practitioner? Generally there is “a call” to shamanism. The spirits may call someone to the work through a vision or dream, or through inheritance by family lineage. Abrupt events such as an illness, psychotic break, or near death experience may serve as a “wake up call” reminding the person that their true vocation is in service to the spirits. During these experiences, a person may even cross over to the other side and learn about the territories of the spiritual realms. A person may also be called to shamanism by an inner longing to be with the spirits and be of service to their community. It is an honor and a privilege to participate in shamanic work. An excellent way to experience shamanism is to take a workshop, learn more about the three worlds of shamanism and have contact with your own spirit teacher and power animal in non-ordinary reality. *This course is the prerequisite for the advanced workshops. Thank you for your interest in Shamanism.